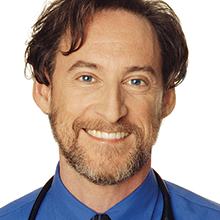 Dr. Harvey Karp is one of America’s most-trusted pediatricians and child development experts. He is on the faculty of the USC School of Medicine and a fellow of the American Academy of Pediatrics. Dr. Karp practiced pediatrics in Los Angeles for over 25 years and Is co-founder of the smart-tech, parenting solutions company, Happiest Baby. Dr. Karp has devoted his life to helping families raise healthy and happy children. His highly innovative and celebrated books/videos, The Happiest Baby on the Block, The Happiest Toddler on the Block and The Happiest Baby Guide to Great Sleep have been translated into dozens of languages and have made him one of the worldâ€™s most renowned baby and sleep experts. Dr. Karpâ€™s breakthrough discoveries â€”the calming reflex, the 5 Sâ€™s and Toddler-ese â€” have benefited millions of parents and are taught by thousands of specially trained educators in over 20 nations. No wonder, the NY Times applauded his landmark ideas by saying, â€œRoll over, Dr. Spock!â€ Dr. Karp has also been a national leader in the promotion of ourÂ children’s right to a healthy and safe environment.